1. Dress warmly, leave the heels at home. You are headed to the snowy mountains of Utah! Most people traveling to Park City in the winter months are headed to ski or snowboard, but you are just planning to watch movies and hopefully bump into Cate Blanchett, so no need for the arctic winter wear, right? Wrong. While a lot of the theaters can get warm and parties will be packed, you will still be spending a lot of time outside. You will be waiting in the cold to get into films, restaurants, parties and events. Need to catch the shuttle to a meeting? You’re waiting outside. This year’s forecast looks particularly snowy, so be prepared. I recommend lots of layers (or one of those outrageously warm, expensive coats that don’t require anything more than a sweater underneath) and a sturdy pair of boots to get through the elements. While the Sundance Film Festival is undoubtedly glamorous, you do not need to dress to the nines. A cozy sweater and a pair of duck boots will serve you just fine, and I guarantee Jon Hamm will be wearing the same. 2. Don’t let the lines scare you. As mentioned above, Sundance comes with a lot of lines and waiting. A lot. Some get to whiz through with badges and passes, but most of us have to wait in lines. Ticket lines, entry lines, bathroom lines, bar lines. Do not let this intimidate you or turn you off from watching the movie you have been dying to see, or hear a filmmaker speak about his or her work. Aim to arrive early and be patient. Everyone is in the same boat and it is just part of the Sundance game. Often, the wait is absolutely worth the experience. 3. Be social and bring business cards. Even if you are attending the festival with a group of friends or colleagues, you are going to meet new people and hopefully a lot of them. 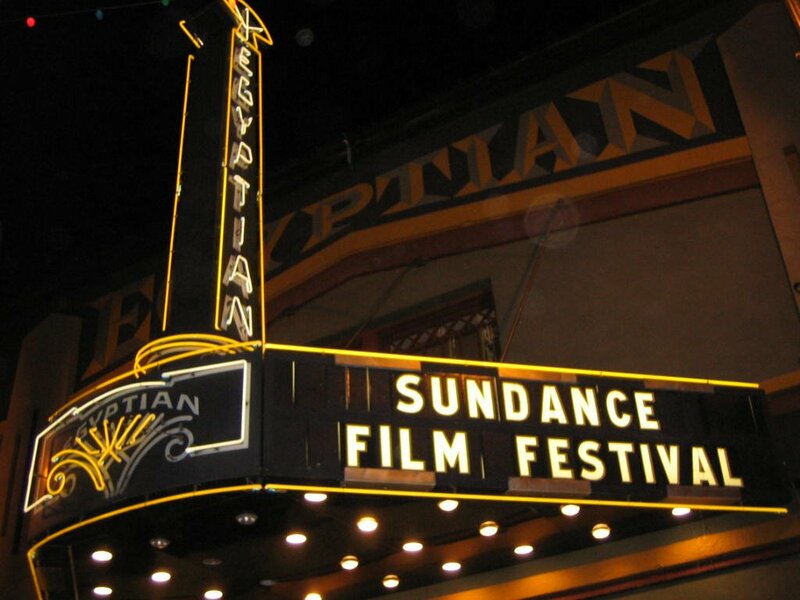 “Sundance is like freshman orientation. Everyone is genuinely curious about what brought you up there too. It’s exciting to meet new people and that is a huge part of the experience. I also find that everyone is just friendlier while in Park City too,” says Sundance veteran Clare Richardson who has attended the festival 15 times. Go out of your way to talk to the people in your van on the way from Salt Lake City and in all those lines you’ll be waiting in. Don’t be afraid to hand out your business card and stay in touch with the people you meet — they could become your artistic collaborators or even your executive producer. 4. Pack snacks! My least favorite thing about Sundance is the food. While free drinks seem to be everywhere you turn, it is very hard to find free food or even good food that you are willing to pay for. There have been years when I have gone days with just eating free Luna bars… which I don’t recommend. There are restaurants in Park City, but they can get extraordinarily crowded and are usually out of budget. I highly recommend heading to Fresh Market (a local grocery store) when you arrive, before you do anything else and get sucked into the Sundance vortex, to pick up some breakfast foods and snacks that you can throw into your backpack or purse for the day. You will likely be out from morning until late into the night so it’s good to be prepared. That said, if you get invited to a dinner at Zoom, take it. And if you can find your way into the Montana Film Commission party, their food is always marvelous. 5. Bring a water bottle, or find a free one. Hydrate! Hydrate! Hydrate! You’re 7,000 feet above sea level and you are going to get dehydrated. New York City’s altitude is only 33 feet and Los Angeles’ is 233 feet, so likely this increase in altitude is going to be a change for you. Even if the altitude itself doesn’t hit you so hard, drinking alcohol will. Even the toughest of drinkers will find their tolerance lowered by the higher altitude. Obviously, as we all should know, drinking water helps our hangovers and getting sick, so drink up. Free water bottles used to be plentiful at Sundance, but I believe sponsorship has changed and the cute green Nalgenes that were once so beloved (and perfect for throwing in your bag) are no longer handed out at the festival. If you want to play it safe, I would bring your own but you can always buy one at the Festival Store, and last year the Chase Sapphire lounge was handing out some larger water bottles as well. 6. Bring a bathing suit. So, yes, it’s going to be very cold and snowy, but most condos and houses that you (or your new friends that you met in line) are staying in have hot tubs. You wouldn’t want to be unprepared for a house party with a hot tub would you? 7. Check out the art and music programming. Of course Sundance is a film festival but it also has a pretty impressive range of virtual reality, visual art experiences and music. If you didn’t get tickets to a film, have a couple hours down, or are looking for a break from movies, definitely take some time to check out New Frontiers. And every night some new, huge musician takes the stage so pay attention to the music scheduling because you could get the opportunity to see one of your favorite artists for free in a much more intimate venue than Madison Square Garden. 8. Sleep? There is a lot to do at Sundance — watch movies, drink a lot of Stella Artois, try out VR, drink coffee, go to panels, watch movies, take meetings, make new friends, drink more Stella, talk about your film, rekindle set romances, party hop, sell your film, buy a film, watch more movies. So when are you supposed to sleep? Generally, you should be prepared to sleep very little, especially if you are only in Park City for the first weekend, but be kind to yourself and make sure you get the rest you need. Walking around like a zombie isn’t fun and means you are not at your most fabulous. If you are staying in a condo or house with a film crew or a lot of friends be sure to bring earplugs or an eye mask so that you can sleep through the late night parties that will be brought home and the early rising producer who is making coffee at 6AM but out the door by 7AM. 9. Trust the pros. Craig Shilowich, the writer and producer of the 2016 Sundance Competition hit Christine, advises, “If you start to feel anxious have a lot of coffee. Or alcohol. Or better yet dump some alcohol into some coffee. They call it a ‘Park City Special.’ Order it and wink. If they act like they don’t know what you’re talking about just keep winking. It’s all part of the fun!” Ask advice of those you know that have been to the festival before. Everyone has different opinions and tips. 10. Go for the “smaller,” less hyped films. Yes, there is some real buzz around A Ghost Story (directed by David Lowery, starring Casey Affleck and Rooney Mara), and everyone wants to see it, but it has already sold to A24 so you know that is going to come out in theaters and you’ll eventually have the opportunity to see it. There are a lot of incredible, thought-provoking, important films at Sundance that don’t have this guaranteed release date in their future. There are a lot of movies that can get lost in the hype of 112 other projects. Take a chance on these films. These are the movies that you are more likely to get tickets to, that often need and extraordinarily appreciate the support, and that you will be pleasantly surprised by. Check out the NEXT, US and World Documentary, and Midnight sections — and never discount the short programming.